Ancor Loc Earth Systems Ltd. is a specialty contractor performing work mainly in ground anchoring, slope stabilization, seismic upgrades on foundations and slip repair. Established in 1998, Ancor Loc has grown consistently into the reputable, professional entity that it is today. It’s owners and staff members take pride in the quality of the work and in the company itself. Our crews have been developed and trained to handle a large variety of specialty drilling and anchoring. 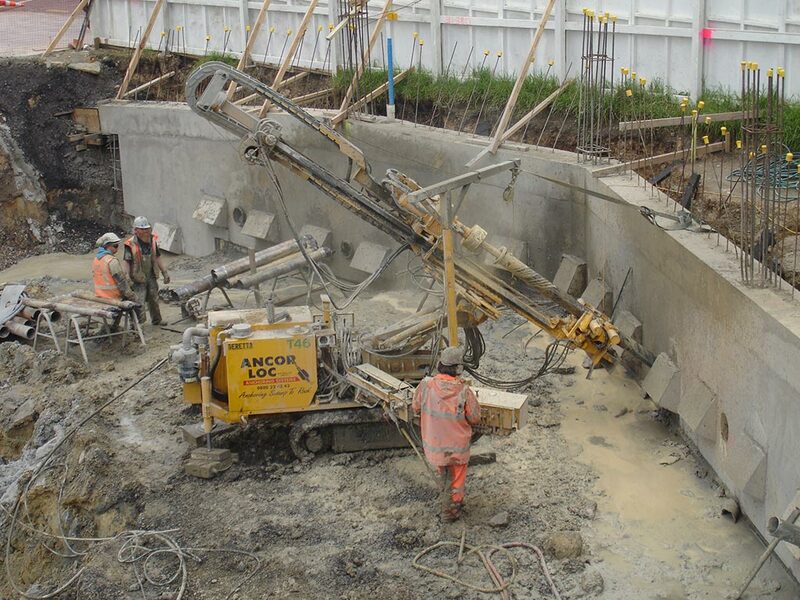 Ancor Loc is set apart from other anchoring contractors by its success in limited access and working with difficult ground conditions. Ancor Loc has built numerous limited access drill rigs and tooling to accommodate the most difficult projects. Service is priority one for Ancor Loc. It has been our experience that true customer service is a rare and nearly non-existent characteristic in our world today. What makes Ancor Loc different is our focus to use resourceful and inventive ideas while working closely with our clients. Meeting or exceeding our client’s needs and expectations is Ancor Loc’s goal. Ancor Loc has a diversified complement of drilling and support equipment. Our vast capabilities allow us to perform all types of anchor drilling and anchoring projects. At the smaller end, Ancor Loc prides its self in completing all jobs, to the highest standard, big or small.Ancor Loc has the ability to drill and install anchors inside existing buildings with ceiling heights as low as two metres. Ancor Loc’s fleet of equipment includes 2 Beretta T46 Drill Rigs, 1 Comacchio MC400P Limited Access Drill Rig, 3 excavator mounted drill/anchor rigs, 2 crane suspended Drill Rigs for fast efficient drilling at height and 5 portable drill rigs for those hard to get at places.